Getting rid of student debt is high on the radars of everyone who has it. Especially so when you have your loans scattered between different student loan servicers. It's not unheard of for graduates to end up with 5-6 different student loans, sometimes at different loan companies. If you take out a different loan each year of college, maybe a couple summer sessions - you could have a variety of loans at different places. It seems like a roundabout way to go about paying your debt: I mean, you are taking out a new loan to pay off another loan. Where is the sense in that? The reality is that, if you are currently having trouble keeping up with payments or digging yourself out of debt quicker, a debt consolidation loan may be just the solution for you. Furthermore, there are other potential benefits to taking out a consolidation loan as well (such as being able to take advantage of student loan forgiveness programs). But it's not without problems. Can Student Loan Consolidation Make You Pay More Interest? Should You Pay For Help With Your Student Loan Debt? Student loan consolidation is the process of combining your Federal student loans into one single loan. For example, you might have 3 or 4 different student loans by the time you graduate college (one for every year you went to school). This can be hard to manage because you could have 3 different payments to make each month. And if you miss one, you could end up harming your credit score. Student loan consolidation makes this easier on you by making those 3 different loans into a single loan to make payments on. This new loan is called a Consolidation Loan. Although, a debt consolidation loan helps to simplify and streamline your payments, a downside to getting it is that your new lower monthly payments could also lengthen the amount of time you will have to pay off your loans by. Tip: You could easily offset this by paying a little more each month. If your payments currently come to a total of $250 across multiple accounts and you apply for a debt consolidation loan, that payment could come down to say $120. Now you are paying just one payment of $120 per month (plus any applicable tax) instead of twice the amount like you were paying before. If you can manage to add, say, an extra $30 and pay $150 each month, you could in fact offset the time disadvantage that is introduced by paying less money towards your student loans. Note: This doesn't apply to Spousal consolidation loans. Read all about Spousal Student Loan Consolidation Loans here. To qualify, you must have at least one loan in that is in the grace period of in repayment. Additionally you need to be current on your payments. If your loan payments are in default, you will be required to make at least 3 consecutive monthly payments before you can apply for the Federal student loan debt consolidation loan. The first big problem that can happen with student loan consolidation is that, since you can consolidate just about every type of Federal student loan, you can accidentally put a loan type in your new consolidate loan that prevents you from having certain repayment plans. The most common problem involves PLUS Loans Made To Parents. If you're a parent, and you borrow with a PLUS loan to pay for your children's college, you should never consolidate these loans. This can be confusing, so let's break it down. Parent PLUS loans are in the parent's name. You child can NEVER have this loan in their name. You can't transfer it to them, and you can't allow them to consolidate the PLUS loan into their loan. However, if you're a parent with other student loans in your name, and now you have this PLUS loan, you could potentially add it to your other loans via consolidation. This is typically a bad idea because PLUS loans don't qualify for income-based repayment programs like IBR, PAYE, or RePAYE. As such, if you consolidate, you're at a loss of these programs. This could also mean you won't qualify for student loan forgiveness programs such as PSLF. So, never consolidate a Parent PLUS loan. Remember that. There are a lot of variables that go into student loan consolidation, but it could cost you more if you're not careful. Consolidating your student loans could end up costing you more over the life of the loan if you forget a couple of things. Immediately at consolidation, your new consolidation loan will be essentially equal to the sum of all your existing loans. Your interest rate will be the weighted average of all the loans you consolidated (rounded up to the nearest 1/8 percent), and your payment should also equal the sum of all your individual payments. Because remember, student loan consolidation is about convenience in paying multiple loans – nothing else. Your new consolidation loan gives you choices in repayment plans – you could switch to an income-based repayment plan, or the extended plan. If you switch to any other repayment plan, you will end up paying more over the life of the loan. However, that could be worthwhile if you simply can't afford your payment today and don't have a choice. Also, when you consolidate, you'll need to re-apply for any interest rate deduction programs you were on. For example, if you were saving 0.25% for using Direct Debit, you would need to re-setup that plan to save again. These small factors are what people forget when consolidating their student loans, and it could end up costing them more. Student loan consolidation is different from student loan refinancing, but many people use the terms interchangeably. Student Loan Consolidation: This is a free program to combine your Federal student loans into a new Federal student loan. Student Loan Refinancing: This involves getting a private loan to replace some (or all) of your existing student loans. You can consolidate Federal loans, but you cannot consolidate private loans. You can refinance both Federal and private student loans - but it doesn't usually make sense to refinance Federal loans. It can make a lot of sense to refinance your private student loans. When you refinance your loans, you have the potential to lower your interest rate and lower your payments. When you do refinance, it's important to look at both the interest rate, and the loan term. You can get refinancing loan terms from 2 years to 20 years, and the term length you decide on has a big impact on both your payment and the interest you'll pay. Recommendation: Try to refinance your loan for no more than 7 years to get the best interest rate. This refinancing loan was for NO cosigner, and was based on him having excellent (780) credit. As you can see, even though the loan term is a little longer than we recommend, but because of the much lower interest rate, he's able to BOTH lower his monthly payment by 35% and pay over 50% less interest over the life of the loan. If you're looking at refinancing, we recommend Credible - they are a student loan refinancing comparison tool that shops a bunch of different lenders for you to find the best rate. When it comes to Federal loans, however, the story is different. The reason is, beyond the interest rate and payment, Federal student loans have a ton of perks and options to help borrowers. First, if you're payment is too high, you could qualify for income based repayment. This will lower your student loan debt to less than 15% of your discretionary income (or 10% for PAYE and RePAYE plans).​ That means, regardless of what your loan amount or credit score is, you'll get a lower payment. Second, these income-based repayment plans also include student loan forgiveness at the end of 20 or 25 years.​ That means, not only can you get a lower payment, but your loan could be forgiven after a period of time. Finally, Federal student loans qualify for Public Service Loan Forgiveness, or PSLF. ​If you work for a non-profit or the government, you can get loan forgiveness after just 10 years. That's a huge perk. If you were to refinance your Federal loans into a new private loan, remember: your new private loan replaces all of your Federal loans. ​As such, your new loan will have ZERO of these perks. You might be thinking, well, I don't need an income based repayment option today. And that's fine, but can you say so with certainty tomorrow? Are you secure in your job and income level? Will you never work in public service in the next 10 years? These are all important questions to ask. When you answer those questions, you'll quickly see that there is only one scenario where it makes sense to refinance your Federal student loans into private ones. You have excellent credit (over 760). We recommend Credit Karma as a free way to check your credit. Also, if you have Parent PLUS Loans, it can make sense to refinance your Federal loans into private loans. If you meet all of the above requirements, then refinancing your Federal student loan could potentially make sense as a way to save money over the life of the loan. The reason is that you'll likely never qualify for income based repayment since you can afford the standard repayment plan. Also, you'll never have an ability to apply for Public Service Loan Forgiveness. 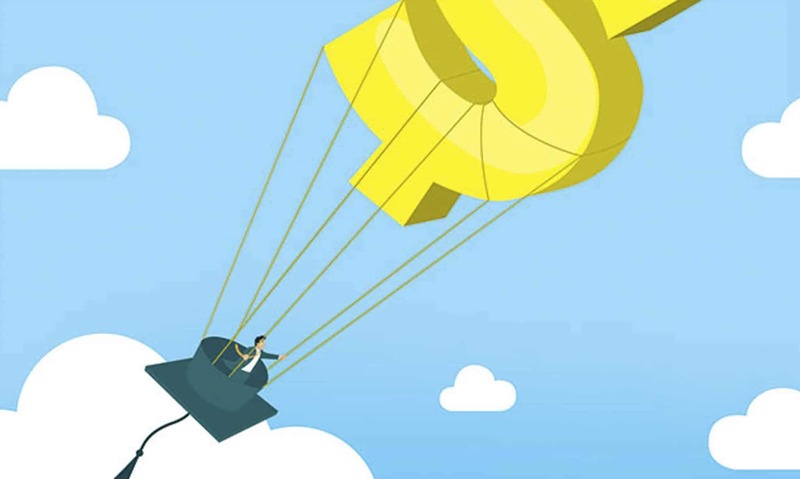 To get the best interest rate and terms for a refinancing loan, you'll also need to have great income and a great credit score. If you have both of those, you'll likely be able to find a refinancing student loan with a lower interest rate and better terms than your Federal loans (but not always). It never hurts to shop around if you fit into this scenario. Check out Credible and see if there's a better deal out there. It's free to compare loans, and you never know, you could save thousands of dollars over the life of the loan. Consolidating your Federal student loans is relatively easy. The Department of Education estimates that it will take you about 20 minutes on StudentLoans.gov. There is no cost to consolidate Federal Student Loans. You don't need to pay a third-party company a huge fee to do this. You can do this yourself. When you consolidate your loans, your interest rate will be an weighted average of all the loans being consolidated. You also can qualify for a 0.25% interest rate reduction if you sign up for automatic payments. So, if you have $10,000 at 6.8%, and $20,000 at 3.4%, you would end up paying 4.5% on your new $30,000 loan. However, realize that the underlying cost structure doesn't change, and you will still end up paying the same amount of interest over the life of this new consolidated loan compared to the underlying loans. Once again, there is no getting out of the loan. A Federal Consolidation Loan simply streamlines your payments. Private student loans are a bit of a different game. They are much more like car loans or home loans. There are different interest rates and fees offered by different banks to student loan borrowers. If you have private loans, it can really pay off to shop around and find a great rate for a consolidation loan. As mentioned above, Use Credible to find a great student loan consolidation and refinancing rate. Credible is a marketplace for student loans where you can receive offers from multiple lenders after filling out a simple form. Credible vets everyone they work with so they only work with quality lenders. Don't forget to take advantage of your $200 bonus offer for refinancing with Credible. You can start the process right here: Credible Refinancing. 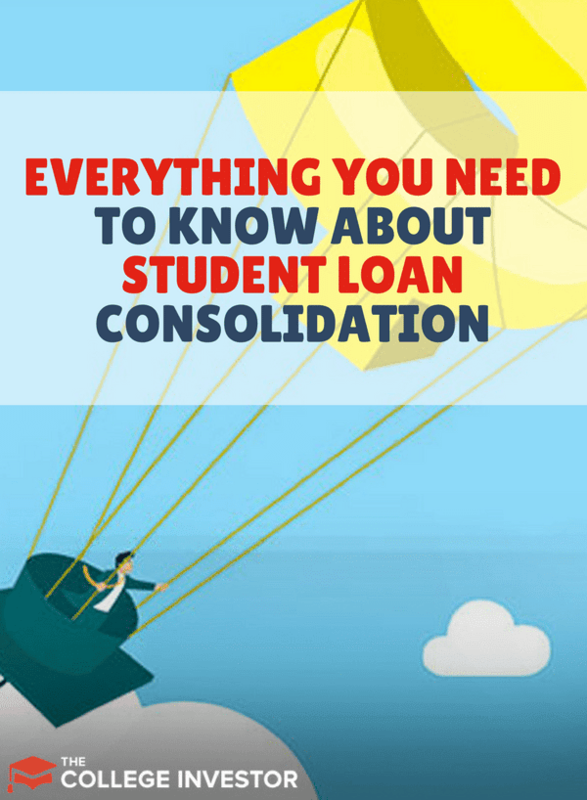 As a reminder, you don't have to pay for student loan consolidation. There are a lot of student loan scams out there targeting people looking to consolidate their student loans. There are also a lot of so-called “aid” companies that want to charge you to consolidate your student loans. The bottom line is that you can simply consolidate your student loan for free at StudentLoans.gov, or by simply calling your lender. Once you login to StudentLoans.gov, you can easily complete your student loan consolidation application. If you know your name, address, and Social Security number, you're capable to do this yourself without paying anyone else. Let's break down what you need to know about third-party companies, and how to avoid student loan consolidation scams. I want to make clear that these companies aren't necessarily fraudulent. Rather, they are charging you for a service that you really don't need to pay for. They use marketing tactics to make you think that you have to pay for their services to get student loan consolidation, but you don't. When you sign up with them, one of the first forms you fill out will be a Power of Attorney form. This gives the company legal rights to act on your behalf with your student loan companies. That's scary that you're letting these people act on your behalf! Just do it yourself. The trouble is, you don't need to be paying someone for this! You can fill out the paperwork yourself. As for the best student loan consolidation program? You have one option for Federal student loans – just one. Now, don't get me wrong - I know that dealing with your student loans can take time and be confusing. You don't have to pay anyone for help - but I also know that I can't be your mom. I've been doing this a long time, and regardless of how easy I say it is - there's still a good 30% of you that don't want to deal with this and would rather pay a third party company to help. That's fine. The bottom line is that student loan consolidation can be a great way to help organize your loans, potentially qualify you for loan forgiveness programs, and make repayment easier. But you need to understand that potential problems it could cause as well. 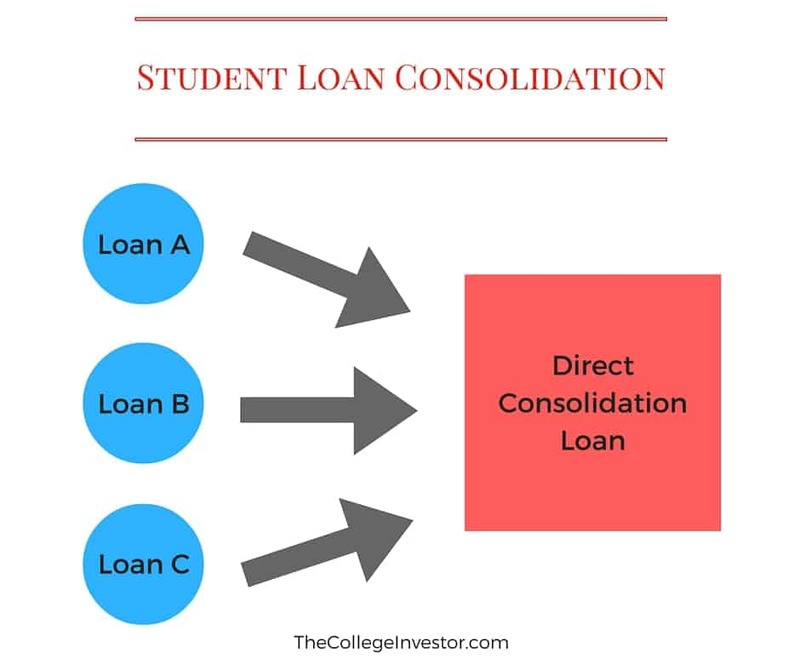 First, if you have Federal student loans, you only have one way to consolidate these loans: a Direct Consolidation Loan. This loan is available for free through the U.S. Department of Education. You can learn more and apply for it here: StudentLoans.gov. Second, if you have private student loans, you do have more options to consolidate, but even then, I really only want you to look at one option – Credible. This site gives you a free saving estimate of what you could save by consolidating and refinancing your student loans in 30 seconds. Then, if you go forward with your private consolidation, you can receive and compare offers from many lenders after completing a single short form. As a bonus, College Investor readers can get $200 if they refinance with Credible! Finally, make sure that you don't consolidate Federal and private loans into a single private loan. Keep them separate. You get a lot of benefits from your Federal student loans, and you lose them if you merge them into a private student loan. And don't fall for any student loan consolidation scams! My husband consolidated his student loans and when we went to file taxes, we discovered that Navient (his lender) was telling him that 0 of the interest he had paid was eligible to write off. After we called them we discovered that because he consolidated using SoFi, even though the original loans were through Navient, he now has to annually file a certification in February of each year with Navient assuring them that the loans were to a qualifying institution and that they all were used to pay for college education expenses. It’s a complete racket and bureaucratic nightmare. I am also finding that this requirement isn’t mentioned anywhere (including in your article above). So, it sounds like you had loans at Navient, then you refinanced (not consolidated), with SoFi. Now all your student loans are with SoFi. If this is the case, you will receive a 1098-E from SoFi showing the interest you paid. This amount you report on your taxes, which may or may not be tax deductible based on your income. If you no longer have loans with Navient, you don’t need to ever be in contact with them again. If there is something missing with my inferences, please let me know. I don’t know why you would think any type of annual certification is required. This only typically applies to borrowers on an income driven repayment plan who need to re certify their income annually. If I consolidate my loans to StudentLoans.gov from Nelnet, can I pay towards the principle to pay my loans off sooner? I’ve tried this for years with Nelnet and have made zero headway. Consolidating your loans doesn’t change anything. In fact, they may stay at NelNet anyway after you consolidate (you don’t get a choice). As for making payments, if you’re making regular payments, your payment is assigned to fees -> interest -> principal in that order. Your normal monthly payment may only be interest (or part of the interest) if you’re on an income-driven repayment plan. You can usually login into the website and make your extra payment there and assign it to a specific loan. Is United Student loan assistance center in Boyton ,FL a company that can be trusted or a scam? They charge 166 dollars for 3 months each as a fee to process your documents and find you a new lender. How do I know if they are a scam company? Remember, you never have to pay for anything with your Federal student loans. You can do everything for free (consolidation, changing your repayment plan, etc.) by calling your lender directly or going online to StudentLoans.gov. First, thank you for all you do! Your articles are very informative! I currently have 11 Federal Loans. They’ve all been on IBR with qualifying payments of $0 for 2 years. My impression based on studying your articles is that I’ll have to go 25 years of qualifying payments on IBR for forgiveness. My loans have ‘loan dates’ between 2007-Jan-16 and 2011-July-06. The last disbursement received was 2011-Dec-14. I am wondering if I can reduce my time to forgiveness to 20 years by consolidating them and (re)starting on IBR (or PAYE). My concept is the new consolidated loan would originate with a 2018 date. I’m trying to leverage federal loans originating after 2014-July-01 being forgiven after 20 years on IBR. I am asking if consolidating my loans creates a new loan that would allow forgiveness under IBR in 20 years instead of 25.Hopefully I explained that well enough to make sense! SO! My main question is whether I can consolidate my loans, (re)sign up for IBR, and get my loans dismissed in 20 years instead of not consolidating and continuing to make qualifying IBR payments for 23 more years. I don’t have any other types of Federal loans, including Parent PLUS loans. If I can do this, then one consideration I have relates to only being able to consolidate once. If I consolidate now and in the next few years a new repayment comes along that allows forgiveness in 15 years, or some other attractive perk, I wouldn’t be able to consolidate to create a new loan that might be eligible for that new plan. That’s the only drawback I can think of to consolidating. Am I missing any other drawbacks? The process of consolidating resets the clock. In your scenario, you’re correct to assume you’d save 3 years. However, don’t ignore the fact that your income may rise in the future and you might simply pay off the loans instead of getting any forgiveness. It’s not really a gamechanger in this scenario, but does make consolidation moot. Thanks. Unfortunately, this is actually for my fiance’s loan balance of $180k. She incurred a brain injury 3 years ago and hasn’t been able to work since. It’s unlikely she’ll be capable of working a low paying job part time anytime soon, and it’s pretty much infeasible she’ll be able to pay it off. Her loan servicer is saying her month interest this year is almost $2k per month (6.8% & 7.9% interest on 160k of Direct loans). With her cognitive deficits, she can’t really even understand the nuances of her loans. The strategy that I think makes sense is to aim for forgiveness. Unfortunately, we’ll probably defer our (legal) marriage for 20+ years and rely on insolvency to take care of the tax bill (assuming law doesn’t change in that time). TPD via physician certification is my other hope I’m working on. How do I get my student loan paid off I have California student loan last I new I owed like $2,500.00 so how do I get it squashed. Its been since 2001 or 2002. Does anyone know if direct prep lp is a scam or not? They did all my paperwork but require $799 to process. Hello about 16 years ago my ex husband and I consolidated our loans together in a spousal consolidation since then we have divorce and have no contact with each other. My loans have fallen into default because they want me to pay over $800.00 a month and there are no options for income based repayment or loan forgiveness programs etc… because I do not have his income information. Can you give me some suggestions on what I can do to rectify? Sallie Mae / Navient say there is nothing they can do for me. I have all federal loans and want to apply for PSLF. Three of my loans are FFEL loans. the rest qualify. Do you recommend consolidation? If you’re already close to paying them off or close to forgiveness under IBR, then consolidation resets the clock and you might be paying longer. If you do consolidate, only consolidate the FFEL loans (don’t touch your other loans). PSLF is done on each loan individually, so they each get their 120 payment timeline. My dad has three FFEL parent plus loans he consolidated into FFEL consolidated loans. I understand he can only qualify for an ICR plan because they are parent plus loans. My question is does he have to consolidate into Direct loans to apply for the IDR plan? Also, if so what is the best loan services he can consolidate with, NelNet, Great Lakes, etc.? His loans are currently with Navient. My father is 70 years old and under going his second knee surgery soon. He’s not able to make payments and the moment. His loan is currently in forbearance. He can apply for ICR regardless of his loan type. Since he’s not working, his ICR payment could be $0 – a better option than being in forbearance. The only reason to re-consolidate would be for him to qualify for PSLF potentially.